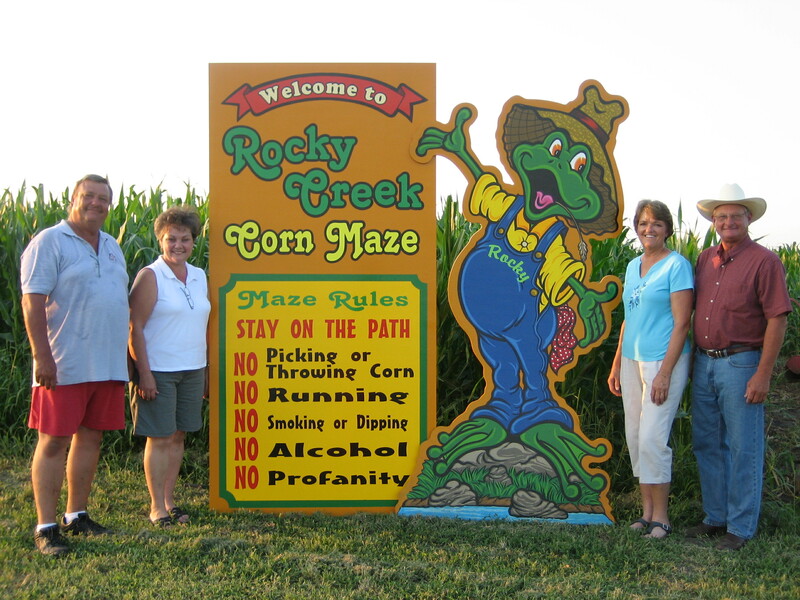 Rocky Creek Maze at Chaloupka Farm is a family-owned and operated business venture that officially opened its doors in 2007. 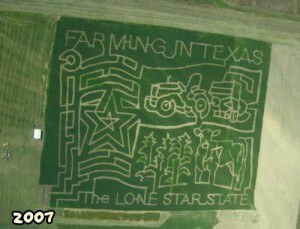 The idea for a cornfield maze, however, began 5 years before in 2002 when part owner Eugene (Gene) Chaloupka read a few articles featuring the agritainment industry in states in the northern U.S. Gene talked it up among his family members and finally convinced his wife, Elyse, and brother Ernest (Junior) Chaloupka and his wife, Helen, that a cornfield maze just might be a lucrative operation. It only took five years, a few road trips to area mazes in Texas, and a conference in Seattle, Washington, for the foursome to commit themselves to what they hope will be life-long adventure. Better late than never! And, being no strangers to crops and livestock, the group thought this would be a great way to share their experience and knowledge about farming and hopefully supplement their salaries as well. Rocky Creek Maze at Chaloupka Farm is located on the very land Gene and Junior’s great-great-grandfather, Martin Chaloupka, one of the first Czech settlers in Lavaca County, purchased in 1868. Including Gene’s son and grandchildren, who currently live on the farm, there have been seven generations living on the same homestead! The original tract of land spanned 130 acres, and Martin farmed it until his son, Lawrence Chaloupka, took it over somewhere in the 1880’s. 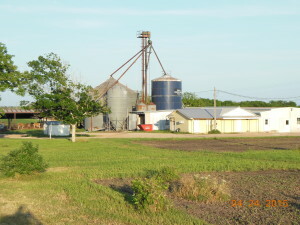 Lawrence’s family farmed the land until 1946 when Gene and Junior’s parents, Ernest and Marcella Chaloupka, bought the acreage from them. One year later, Ernest started his own dairy, milking just 3 Jersey cows with a bucket machine. The machine squeezed the milk from the cows and released it into buckets. Those buckets were then emptied into milk cans and lowered into a refrigerated cooler of water for storage. Over the years, though, the dairy progressed through many changes. In 1951, Ernest built a milking parlor; in the late 50’s, he slowly switched to milking only Holstein cattle; and in 1961, he upgraded his bucket machine to a pipeline system, which milked the cows and emptied the milk directly into cooling tanks via pipes. Additionally, sometime in the early 60’s, the dairy officially became known as Four-E Dairy, a name created after the partnership that was formed between Ernest and his 3 sons, Eugene, Erwin, and Ernest Jr. Then, two decades later in 1981, the dairy became incorporated. Ernest worked for 10 more years before he officially retired in 1990 and gave up the reigns of the business to Gene and Erwin, who have continued to run the dairy to the present day. Both Gene and Elyse, and Junior and Helen have agricultural backgrounds and have been involved in farming all or most of their lives. Today, Gene and Elyse are stockholders in Four-E Dairy, and they, along with their sons, Chad and Scott, and Gene’s other brother, Erwin, milk an average of 400cows daily including Jerseys and Jersey crosses. Additionally, they raise their own corn, silage, hay, and replacement heifers. 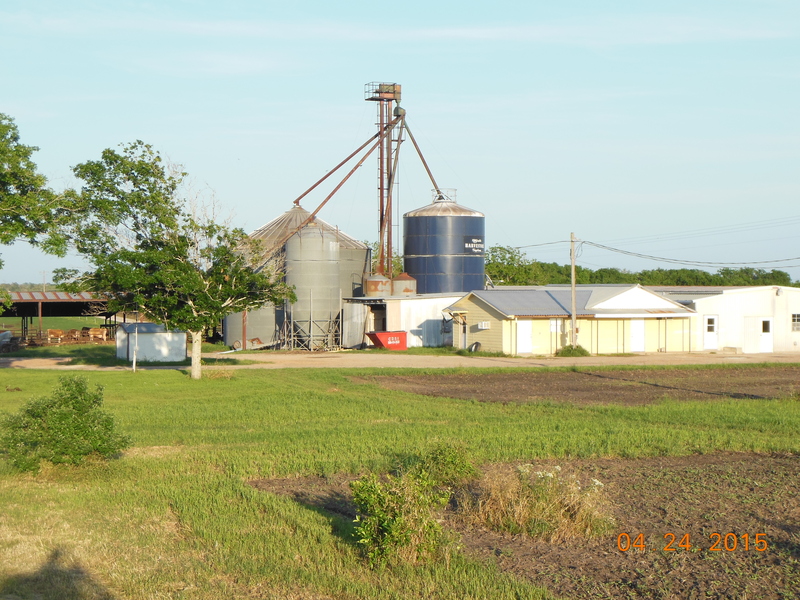 Primarily, Gene’s responsibilities at the dairy are planting and maintaining the crops-450 acres of corn for grain, 150 acres of sorghum for silage, and approximately 300 acres of hay. He also does the majority of equipment maintenance and repairs. Elyse’s job on the dairy includes keeping up with all the records and accounting, as well as heading the raw milk side of the dairy. She’s no stranger to farming either as she grew up on a 200-acre farm near Henkhaus chopping and picking cotton with a hoe and pick sack, very different from the high-tech methods of today. While Junior and Helen do not currently work on the dairy, their roots lie there and with farming as well. Junior grew up on Four-E Dairy and learned the ins and outs of milking cows and farming crops. However, he left the dairy in 1977 to pursue other aspirations. He now owns his own paint contracting business, and for the past 30 years, he has worked throughout the surrounding counties, specializing in interior and exterior painting, drywall, and wood finishing. His special love is restoration of and building church altars. Helen, too, came from a farming family as she was raised on a 200-acre farm in nearby Witting. She chopped and picked cotton, worked in the corn fields, and hauled hay with her father and siblings. She milked the cows, fed the chickens, worked the garden, and cooked and sewed with her mother. In 1976 she landed a job at the local grocery store in Moulton where she eventually became manager. She retired her position after 30 years and now works for a local art and sign shop creating banners, vinyl lettering, and assisting in the production of yard art. All together, Gene, Elyse, Junior, and Helen make up the brains and brawn of Rocky Creek Maze at Chaloupka Farm. Each one has their own responsibilities of the daily operations, but their goal is the same-to provide good, wholesome, farm fun, and maybe a little education as well, for the entire family, a tradition they hope to continue for many years to come.